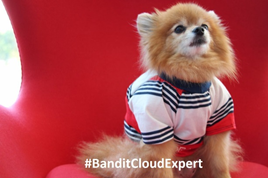 Bandit the Cloud Expert and I are looking forward to welcome you at the PaaS Summer Camp 2018 in Lisbon. During the whole week hands-on training you will become an expert in Oracle PaaS solutions. For some of the training’s we offer an Oracle certification at the end of the week. Lisbon is a beautiful city, friendly persons and great food. We call it the Summer Camp because Bandit and I are looking forward to take a sundowner drink with you at the beach!